The latest R-Plus Doors technical information—swing doors, sliding doors, vertical doors—is all here for download. You can also get the latest news from the Door Buzz Newsletter or from the R-Plus Cold Storage Door Blog. 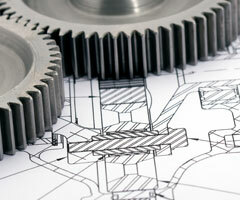 The R-Plus Blog is a record of technical discussions, a show and tell of interesting projects, and a collection of other information about R-Plus Doors activities and milestones. This information is referred to in the Door Buzz newsletter, but it appears here first! All the technical documentation used in the R-Plus Cold Storage Doors factory is here, including operation and installation manuals. This even works in the field on your smartphone or tablet and it is kept up to date every day. 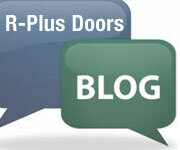 The Door Buzz newsletter covers new R-Plus Doors products, product changes, project stories and more! 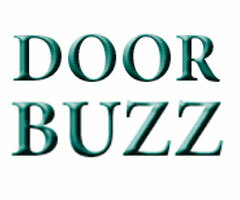 Subscribe to Door Buzz to be kept up to date on changes and opportunities with R-Plus Cold Storage Doors. This adjustable hinge provides both vertical and horizontal adjustment of 5/16″ over 360 degrees. A highlight of this product is the door and hinge remain attached to the walk-in while making the adjustments.